3iii Yes. You are on the right tract in your investing approach. Learn the right approach from KC. Siew Jian Bin Then I will buy more and keep! (2.6m shares buyback April ) Philip The questions that I usually ask of microcaps is what is its growth potential. First I look at the size of the CDM, ATM, CRM total market. How big is it in Malaysia. How easy is it to expand regionally and sell security sensitive ATM machines to Philippines, Indonesia etc? Then I look at the market size of OPENSYS, which is as you say 80% of the Malaysia market. Which is stagnating at 100 million a year since 2016? Including replacement and upgrading etc OPENSYS has been doing 100 million for the last 3 years. The question I ask is what is the life cycle of the machines? 8-10 years? What is the growth of bank branches and cash machines everywhere? With the introduction of digital payment transfers and payment via smartphone, will ATM survive the latest disruption coming from digitalisation of payments? In my opinion, OPENSYS will never expand regionally. They license their technologies from Oki Japan, which already have other distributors in other countries. OPENSYS only growth trigger now is to get Banks to revamp old systems to CRM machines, recycling cash automatically. If you go from 80% market share to 100% market share, you only increase revenue growth to 120 million a year. I think OPENSYS giving out dividends was a big mistake. They should have wisely used their retained earnings to find other growth triggers and organic growth, considering their close relationship with the banks. As it is, if you believe as I do that OPENSYS growth opportunities are limited and won't have anymore spectacular growth ( 80% market share is not always a good thing), then the question to ask is if 3.79% dividend a year and a stagnating share price at around 0.36 cents since 2016 is worth putting money in for you? (2.6m shares buyback April ) Philip With an annual growth rate of 5%, a total market size of 17500 units, install base of 2500 machines ( if ask your past promotions of OPENSYS), the long term prospects of OPENSYS are pretty much set in stone. 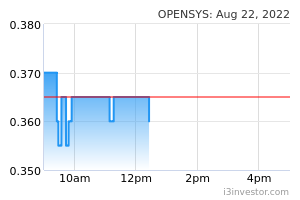 OPENSYS is an average company selling for a fair price. Fabien Extraordinaire Can have a look at Hong leong industries. stockraider GOOD ANALYSIS...A BIRD IN MY HAND IS BETTER THAN 2 IN THE BUSH MAH..!! 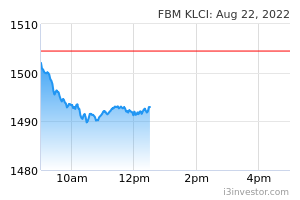 IF U GET GOOD CASHFLOW YIELD WHY WASTE TIME SPECULATING & CHASING UNCERTAIN GROWTH LEH ?? (2.6m shares buyback April ) Philip You growth has to be spread between 8-10 years as the existing is still usable(and no requirement to replace new but maintain and run) and banks are moving more towards online transactions instead of via machine. My family and I pay all our bills, loans and transfers online these days as it is much more convenient than paying at the machine. I believe this trend is something that will grow further and not lessen as smartphones and internet get cheaper and cheaper. CDM machines were brilliant as they were the disruptors of the day when they replaced the bank tellers job. I firmly believe that the internet, smartphone app and digitisation of payments will further disrupt this chain of investment in the long term 5-10 years from now, reducing the need for high tech CDM, CRM machines, and maintaining existing machines only. I may be wrong, and I dearly hope you are right as I have no position into OPENSYS. But I do think the best days are behind it. I wouldn't be surprised in the age of 5G payment machines going the way of the physical payphone. Good luck in your investment. You know the environment better than my cursory glance. (2.6m shares buyback April ) Philip But looking bigger picture at the 5 year results of its technology owner OKI electric industries (Japan) shows a stagnating and slowing growth over the past 5 years, share price also stagnating and going down slowly. Even in their annual report, oki find that the internet adoption and the slowing down of their ATM machine usage internationally is quite worrying. It shares a similar correlation to OPENSYS local dynamics. stockraider AGAIN WHY HARPING ON GROWTH WHEN YOUR CASHFLOW YIELD IS 17% PA LEH ?? IN ADDITION U GET DIV YILELD 5% PA TO COVER UR CONSUMPTION EXPENSES AND DOUBLE UR CAPITAL EVERY 5 YRS MAH.....!! You growth has to be spread between 8-10 years as the existing is still usable(and no requirement to replace new but maintain and run) and banks are moving more towards online transactions instead of via machine. My family and I pay all our bills, loans and transfers online these days as it is much more convenient than paying at the machine. I believe this trend is something that will grow further and not lessen as smartphones and internet get cheaper and cheaper. But looking bigger picture at the 5 year results of its technology owner OKI electric industries (Japan) shows a stagnating and slowing growth over the past 5 years, share price also stagnating and going down slowly. Even in their annual report, oki find that the internet adoption and the slowing down of their ATM machine usage internationally is quite worrying. Do you understand the business models of Opensys? You will appreciate more if you do. In outright sales, our CRMs and cheque deposit machines are sold directly to the financial institutions. In software services, we provide software development services to our customers when they need modification to their application software due to changes in their business or regulatory requirements. In outsourcing services, we provide bill payment kiosks to utility, insurance and telecommunication companies over a contract period of 3-5 years. The customers pay a rental for the machines plus a click charge for each transaction. In maintenance services, the banks pay us an annual maintenance fee of 10-12 percent based on the selling price of the machines that we sold to them. In return, we service and repair the machines to ensure high availability and optimum uptime. Yes, you are right. Opensys has been doing RM100 million sales for the last 3 years. and roughly half is from CRM outright sales. But you miss the crux of the matter. Maintenance profit! 1 CRM costs roughly RM70,000. Therefore, they sold ~700 machines per year for last 3 years. Maintenance fee is recurring annually after 2-3 years free warranty period. Lifespan of machines is 8-10 years. Total profit for 2600 CRMs? Recurring for the next 5-7 years? You do the math. The market is big enough to multiply profits several times if they continue to win more market share. Choivo Capital I was looking at this. Very interesting Co and great management. Only thing is its not that cheap. (2.6m shares buyback April ) Philip Do you have access to the cash flow and cash assets as minority shareholder? No you don't. All you have access to is dividends and share price increase. I suggest you pay attention to that very important fact, and keep that in your mind in your valuation of any investment. There is a reason why they call it a value trap. Same with INSAS. Same with Parkson. Same with xinquan. You cannot use one single metric to evaluate a company. If you could and investing was easy, I would buy Parkson, with a market cap of 267 million but with net assets of 3.6 billion. And cash of 1.18 billion. AGAIN WHY HARPING ON GROWTH WHEN YOUR CASHFLOW YIELD IS 17% PA LEH ?? (2.6m shares buyback April ) Philip And sell it for parts. stockraider Sohai comment loh. !....already says opensys paying 5% pa yield mah....What QL div yield less than 1% pa ?....if u r so concern of access of cash u should be very concern of QL instead mah....!! Do you have access to the cash flow and cash assets as minority shareholder? beso as i said earlier, opensys current price is fully value nothing more nothing less, mr. market won't judge wrongly but you will, be realistic if it has very good prospect, market would have been trading at 20 to 25 times already. stockraider In order to profit from Mr mkt u need to buy cheap & sell expensive mah...!! That means u go for undervalue stock like opensys Pe 10x and u sell overvalue stock QL 50x PE loh...!! as i said earlier, opensys current price is fully value nothing more nothing less, mr. market won't judge wrongly but you will, be realistic if it has very good prospect, market would have been trading at 20 to 25 times already. Amazinggrowth Beso, your comment does not add any value to the discussion. If you don’t know what you are talking about, don’t comment. State your points and arguments rather than just say “fully value nothing more or less”. This is not kindergarten. Do you homework and comment with real substance! E-wallet is still in trial period. imho, it will take at least another 20 years for e-wallet to reach the tipping point because majority of us prefer to use cash. I believe CDM/ATM will coexist with mobile payments in the future. E-commerce is a good benchmark. The industry started in 1998 in Malaysia. After 20 years, the e-commerce penetration rate in Malaysia is still less than 6% of the total retail market. At 9.7x PE, the market assumed that Opensys will never grow again. Thanks to the misunderstanding about the threat of cashless payments, valuations are cheap. I think there is a lot of opportunity to grow. Currently, only 20% of bank machines are CRMs. The market share had tripled from only 6% in 2015. Is there a possibility the market is valuing OpenSys at 9.7x PE because the market saw a growth rate stop 5 - 10 years later?